The queens Visit airs 18th of february! the 27th episode this is, I guess. The queen that visits is Dhahabu, the goldish fabulishious zebra-ette from an earlier episode. After this episode we have 1 or 2 episodes left I wildly guess..? Re: The queens Visit airs 18th of february! I wonder what Dhahabu could be visiting The Pride Lands for? 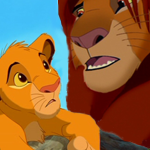 Maybe Scar's Army is causing trouble in The Back Lands? there is footage of this episode on youtube, if you search for ukrainian Lion Guard.The song of the episode can be found there. It is sad that there are large gaps between the episodes, on fb I see fanpages dying out and not beeing updated anymore, caused by the lack of new footage. I hope season 3 fixes the hiatus issue.. If Disney airs 3 episodes a month (once a week) Season 3 will last 6 months. There is also a 1 hour special to fit in their somewhere. Isn't it weird that a zebra is a Queen? i agree, i would have preferred some neighbouring lion pride to show up.. but we got what we got i guess but at least the song sounds cute. I mean, there's a gorilla king. true, and in season 3 there was even gonna be snow leopards and stuff.. oh on the watchtlg site it now says only 10 hrs before the new episode is put online! Cute episode. I'm always glad to see episodes where Fuli has a larger role. Tiifu and Zuri's characterization still annoys me a bit, though, and even though they tried to be professional at the end and take their jobs seriously, I still consider them to be little more than hanger-ons who are actually terrible friends. So much damage was done to them in that episode where they let Kiara nearly get killed by hyenas and didn't care one bit, so every time the show tries to imply they're good friends, I just roll my eyes. I agree with that, I love to see Zuri and Tiifu in an episode, but they never get much depth. I also don't like that feminine overdo, so I prefer fuli as a female character: fearless and smart, still feminine. Little girls watching the show should feel encouraged instead of having codependent scared female role models.